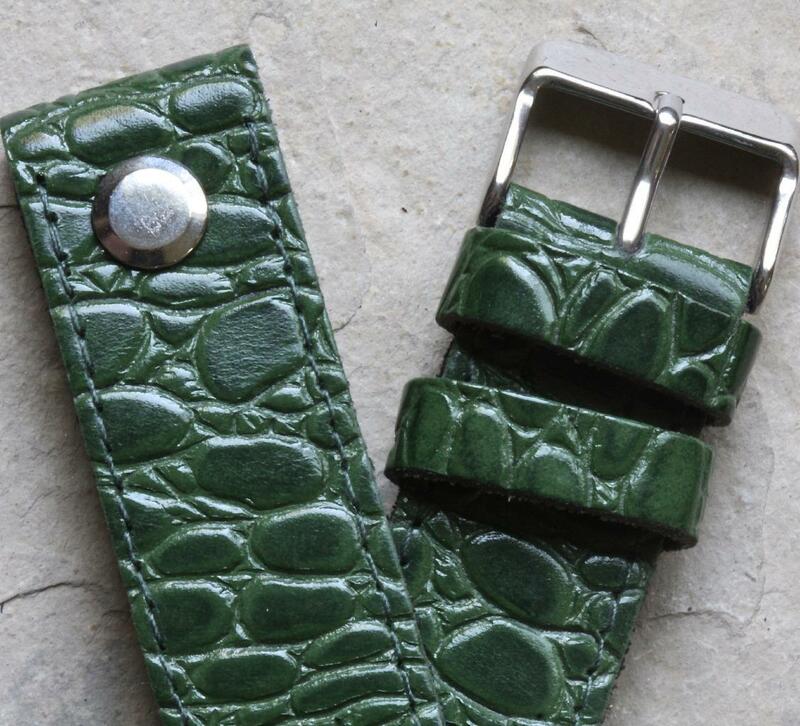 Now available in several new styles and colors, including Alligator, Crocodile and Lizard Grain Leather patterns. 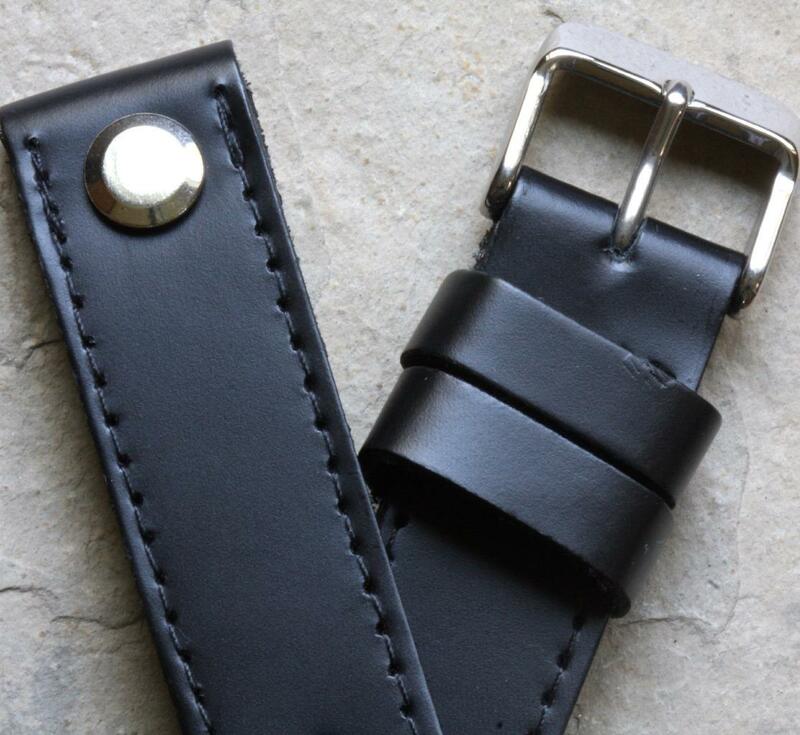 Sizes available are 18mm, 20mm, 22mm and 24mm (with 2 screws at each end). 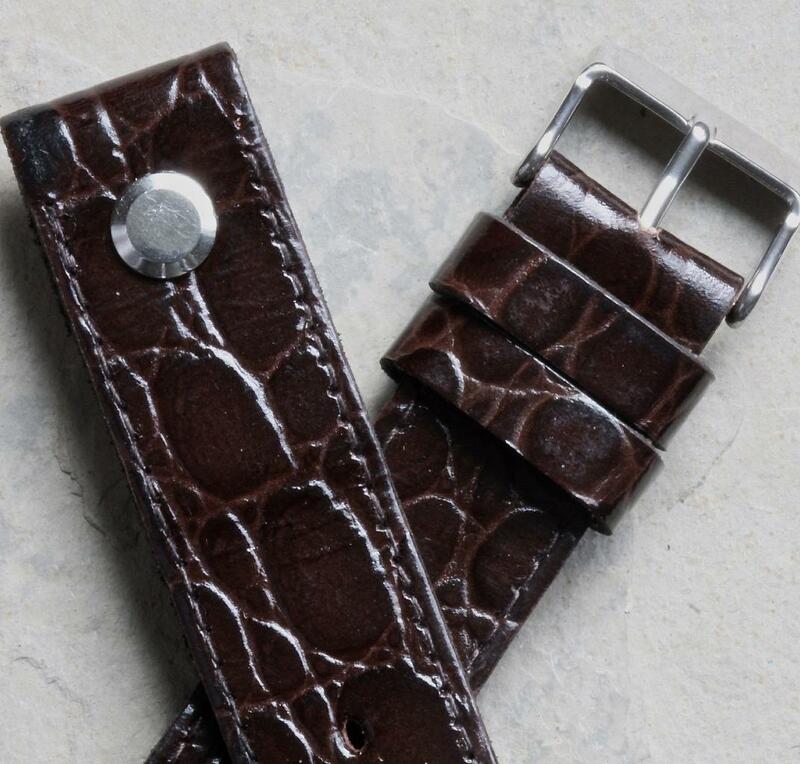 Chronotrader/OTD customers save about $10 per band over my EBAY prices. 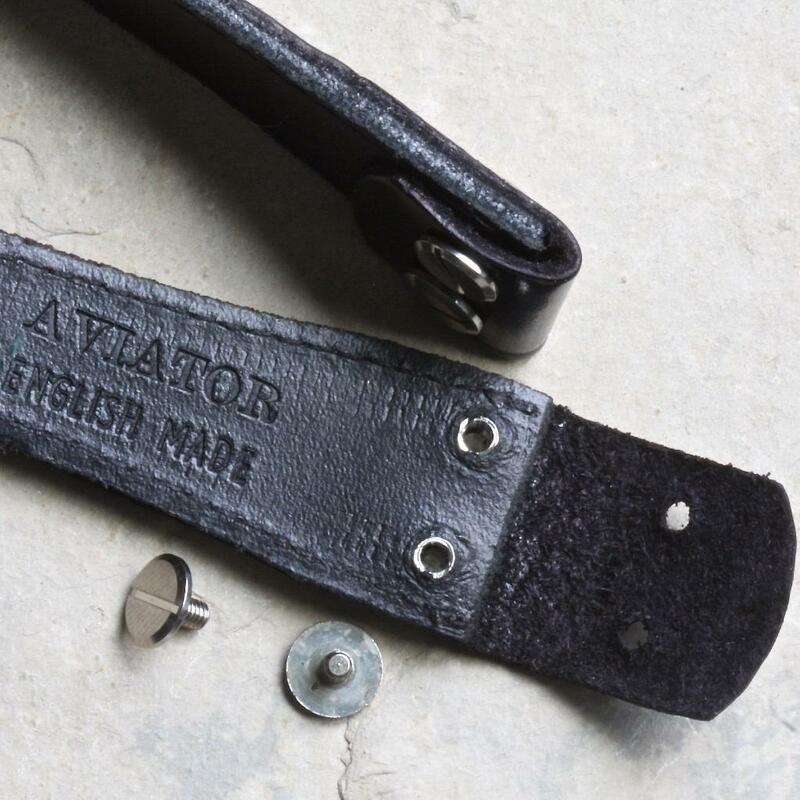 My popular AVIATORS pilot’s straps are custom-made for me in England, but shipped to you quickly from the United States at a fraction of the cost of buying from European suppliers. 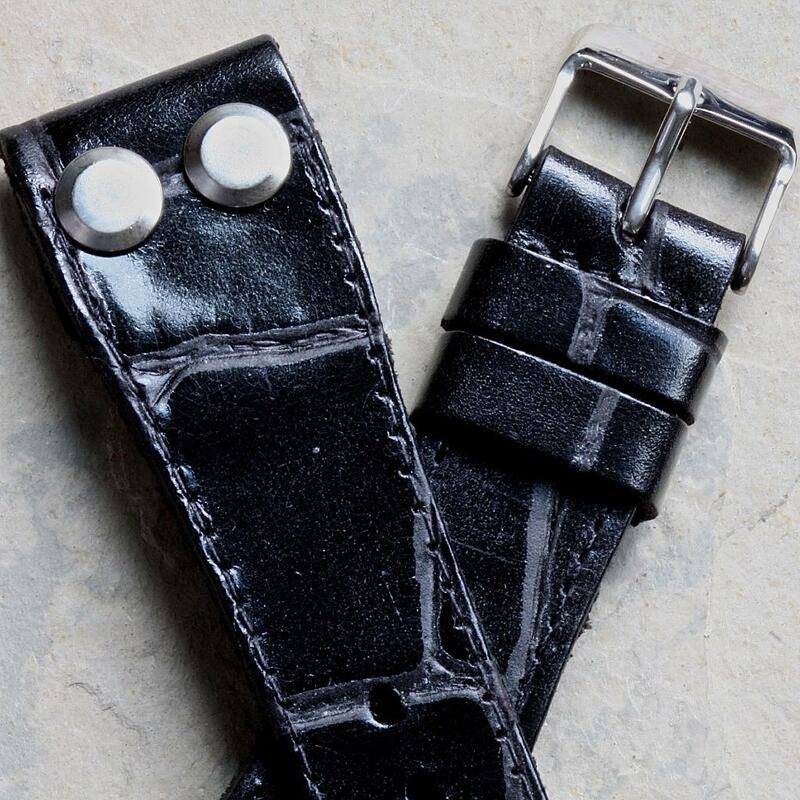 With the ends that open and close with the screw fittings, Squinky's AVIATORS are the perfect solution for any fixed lug watch or a great vintage look on a chronograph watch that takes spring bars. 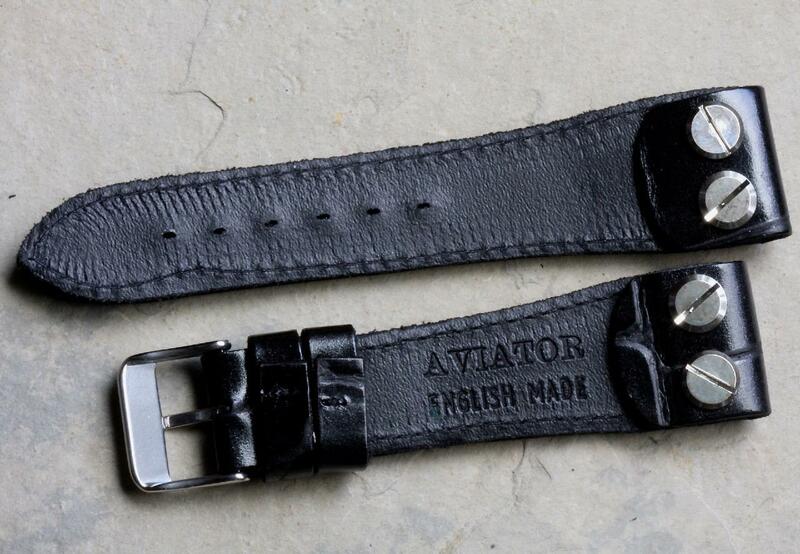 AVIATORS are 6mm thick where they meet the watch and about 4mm thick at the tail end. 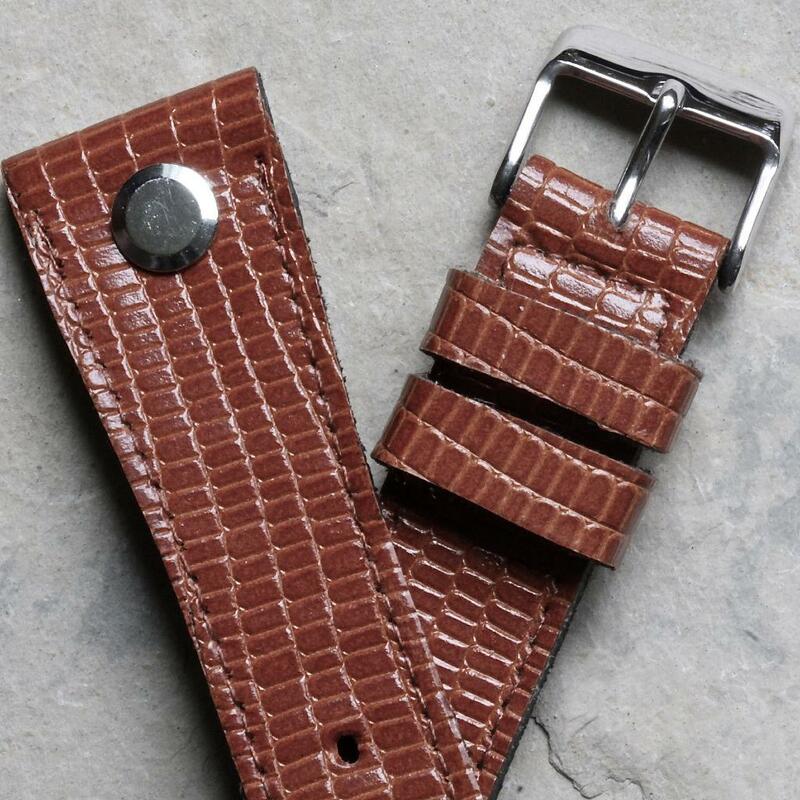 The heavy-duty military type construction means that these straps can easily and safely carry even the heaviest of modern chronographs or big military style watches. 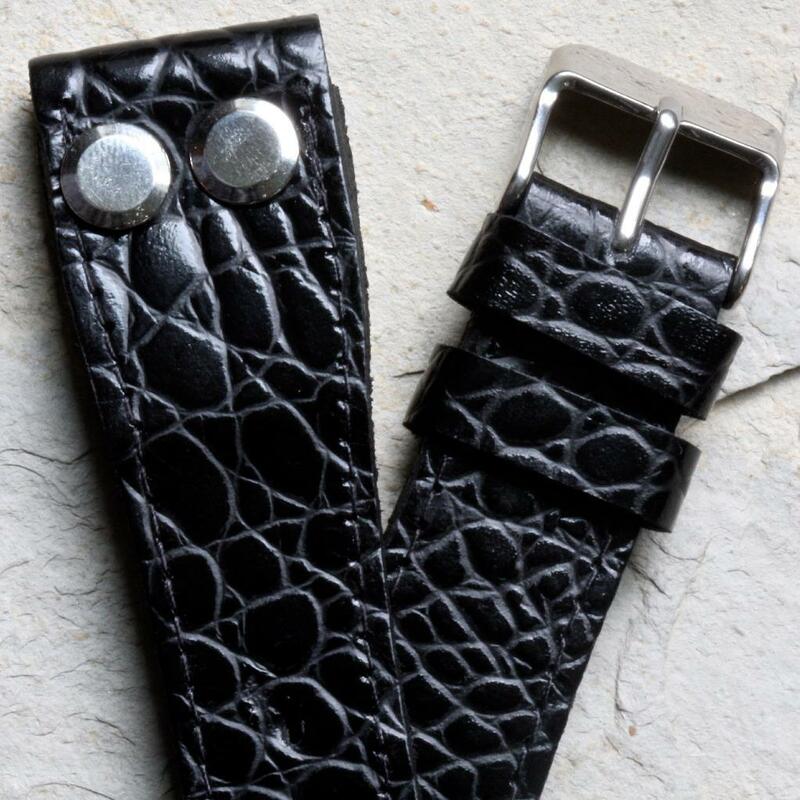 The beefy buckles are stainless steel. 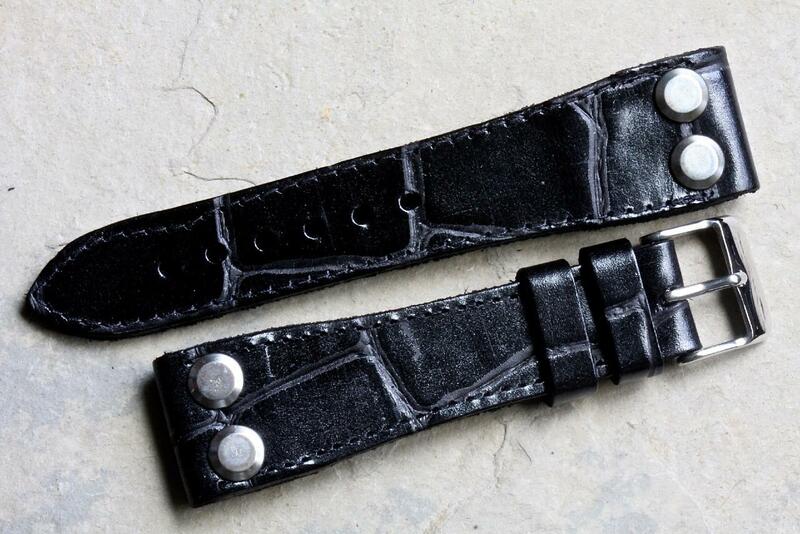 Each strap has two strap hold-down keepers. 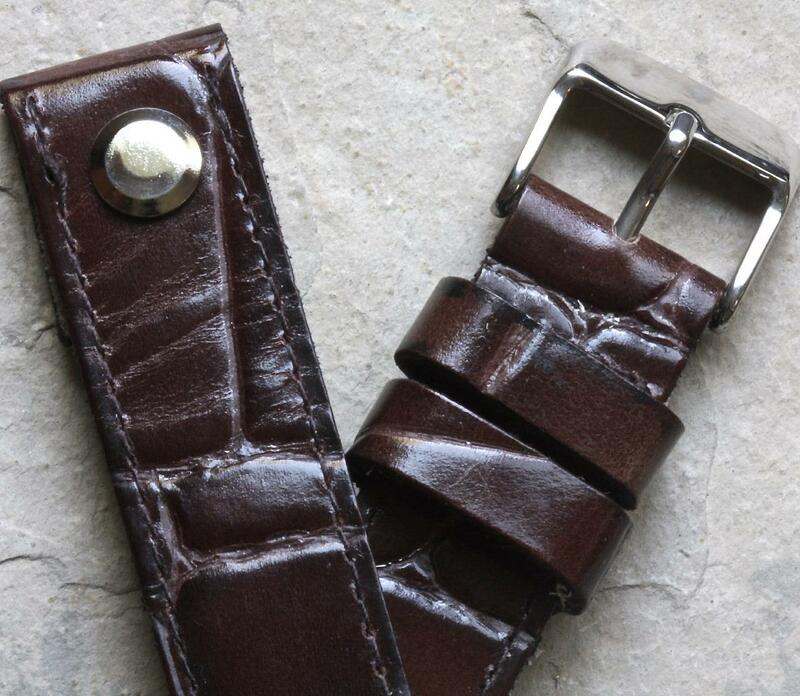 The buckle end size is 18mm for the 18mm, 22mm and 24mm versions; the 20mm Aviators have 20mm buckle ends. Here is a sampling of the new styles available. 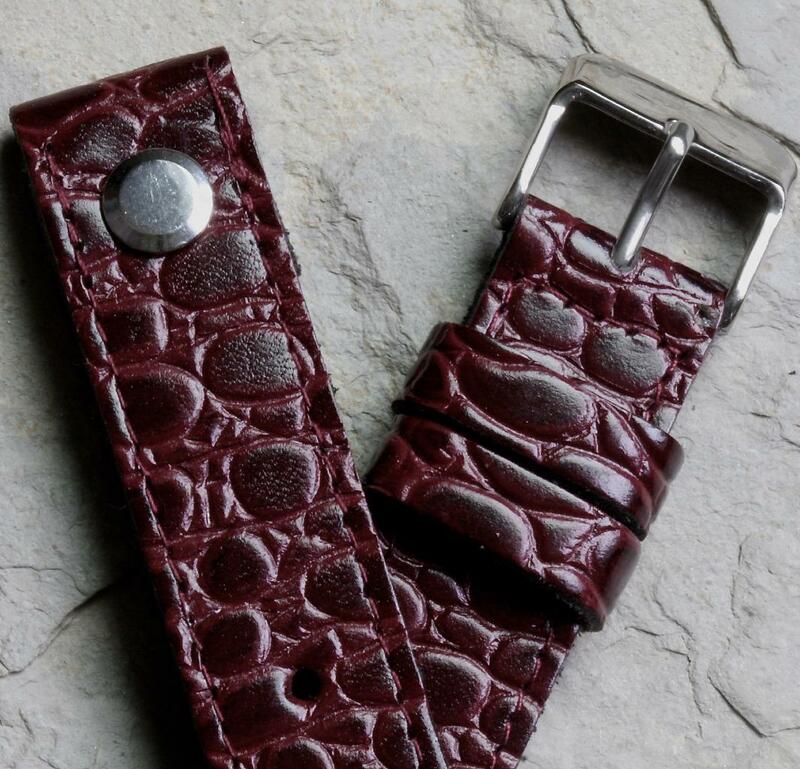 Please go to the AVIATOR section at Squinky.com to see many more pictures of each band and to research a specific size, texture and color you need. 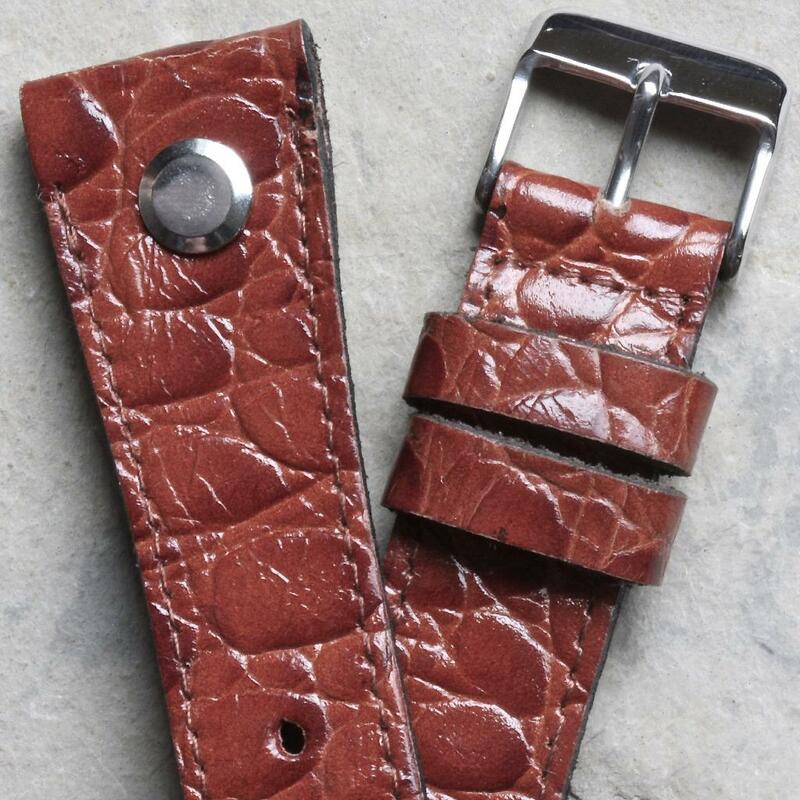 BUY TWO STRAPS AND U.S. SHIPPING WITH TRACKING IS FREE! WORLDWIDE SHIPPING AVAILABLE: U.S. buyers add $6.99 for USPS First Class shipping with tracking or $12.99 for USPS Priority Shipping with tracking. International First Class shipping is $19.99 or $45 for International Registered recorded delivery required with some orders. I will alert you via email when the order ships. I have many references here.